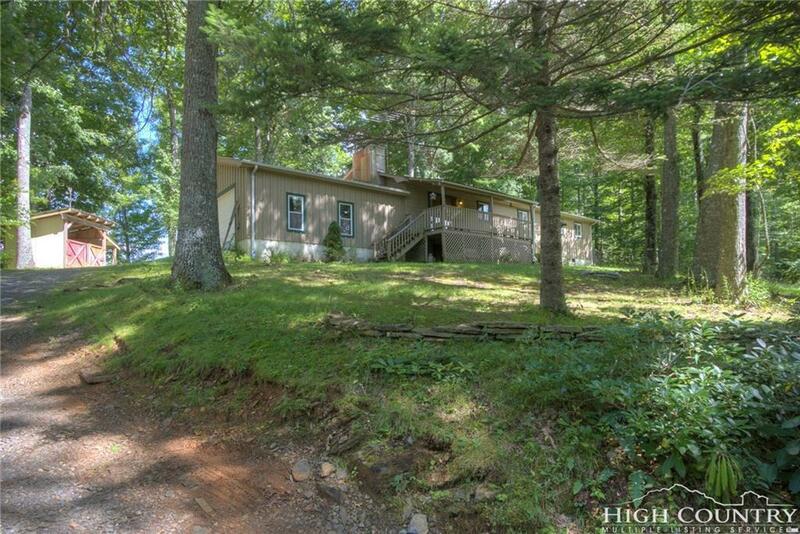 One level living near the New River on 1.67 acres. Attached oversized garage provides parking and area for a workshop. Nice views from the level back yard. Large master bedroom with en-suite bath. Beautiful timber framed opening from the kitchen to the living room. The wood stove keeps you toasty on the cold winter nights. There is also a heat pump with air conditioning to keep the house cool in the summers. There are two outbuildings and one could be a great chicken coop. This home has a lovely setting surrounded by trees and walking paths. Money has been contributed to a road fund. The road will be regraded and graveled in the spring.